Welcome to Dazzles Salon Outpost! 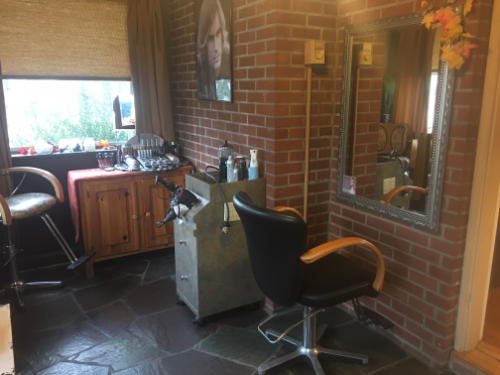 Dazzles Salon Outpost are located in the center of the beautiful Dutchess County. When you choose Dazzles Salon you are choosing to place yourself in the hands of some of the most talented and highly skilled professionals anywhere. Whether you need a Haircut, specialized Haircoloring, Airbrush Make-up application, Pedicure, Manicure or simple Eyebrow Wax with precise arch for your face shape, we are the best. 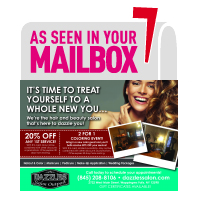 Dazzles Salon Outpost provides personal care focused non you. We combine personal attention, a relaxed professional atmosphere and through the deeply rooted talent of caring people, we strive to help you achieve balance in an otherwise hectic world. We appreciate your loyalty and your referrals- it is the greatest compliment we can receive. Thank you for choosing Dazzles Salon Outpost! Please vote for Dazzles Salon Outpost for Best of the Hudson Valley 2019. Thank you in advance for your support!